Over a quiet week in November with the advantage of having carpenters on site working on our new project Lighthouse Barn, we decided to add a conventional range cooker and a new line of base cupboards with a black granite work top to enhance the kitchen facilities in the main Farmhouse. It was often a challenge especially to our senior guests how to cook on an Aga when only having such a short time to ‘get your head around’ the different concept of cooking. 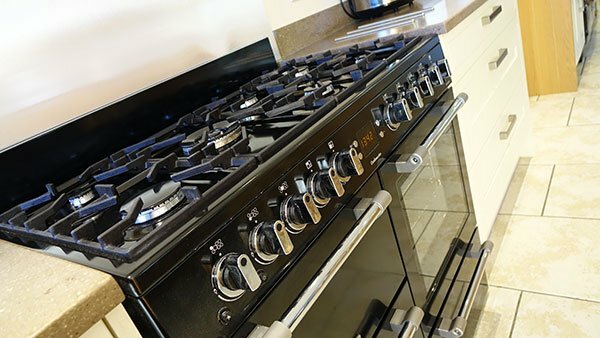 Now our guests have the option to use the beautiful black Range Cooker with its two ovens, separate grill and 7 burners (all running on propane gas with a massive underground tank hidden in the grounds . It’s been a huge success.